Gillian is available to travel to nursing homes throughout Ireland. 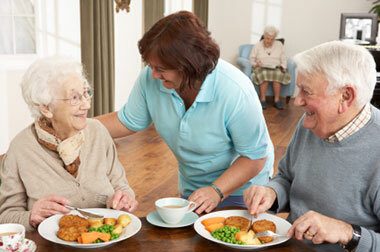 She currently visits the residents at nursing homes on a monthly basis to ensure they are meeting their nutritional requirements and discuss any other nutritional issues with nursing staff that may crop up. Consultations with Gillian include liaison with nursing home residents, families, nursing and catering staff, GP’s and community services as necessary. Gillian also works in partnership with CATTS (Clinical Assessment & Therapy Services). As a team, they can provide services for Dietetics, Speech and Language Therapy and Occupational Therapy where needed. Joint recommendations are essential in helping to speed the patient’s recovery process and optimise the lifestyle of those living in residential care homes. Note: Consultation fees can be partially reimbursed using private health insurance or tax relief.